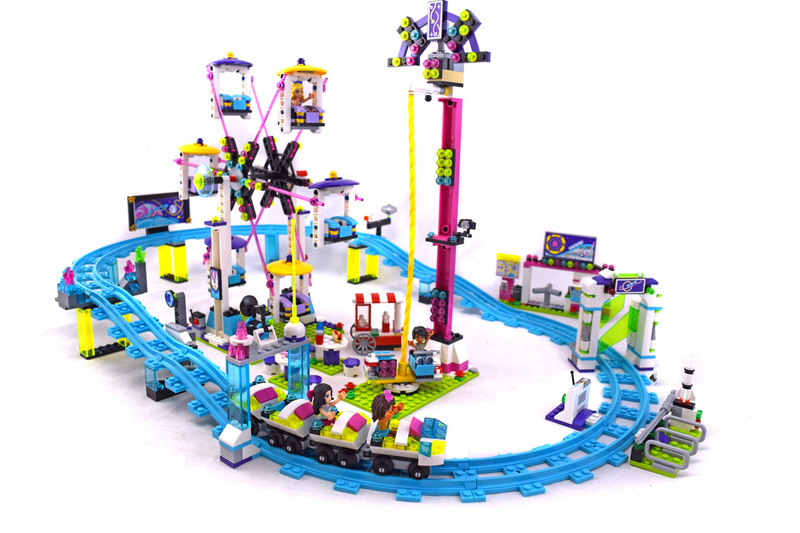 Amusement Park Roller Coaster (LEGO 41130-1) is a Friends set released in 2016. Go crazy on all the rides at the Amusement Park! Head through the turnstiles to the amusement park and stand in line for the roller coaster. Slip into the front seat to switch on the light brick and off you go – wheeeeeeeeeeee! Then take a gentle ride on the Ferris wheel or head to the drop tower, pull down your safety bar and go spinning down to the ground. Afterwards there are photos to buy and food to share with friends. You won't want your day at the Amusement Park to end! Set comes with 4 minifigures and 1124 pieces.